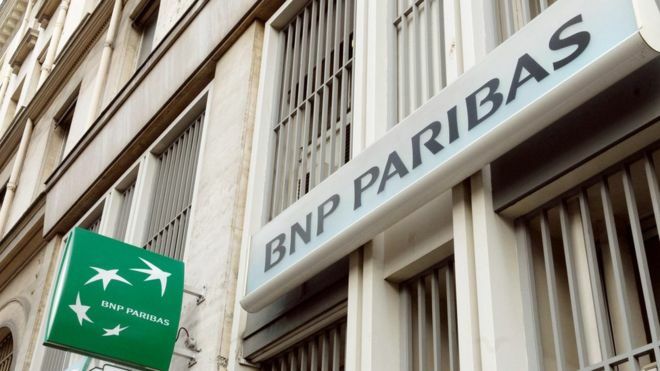 The US central bank has fined BNP Paribas $246m (£189m), the latest punishment in a currency rigging scandal that has led to billions in fines on both sides of the Atlantic. Authorities say traders at different firms used online chat rooms to share information about currency bids without adequate oversight from their banks. The Federal Reserve alone has issued more than $2bn in fines against seven banks tied to the scandal. Cases against traders are ongoing. The scandal has touched banks that include Barclays, the Royal Bank of Scotland, Deutsche Bank, UBS and JP Morgan Chase. It had resulted in billions in fines levied by various regulators related to manipulation of currency markets. 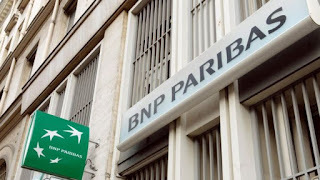 BNP Paribas in May also said it would pay New York regulators $350m to resolve issues relating to oversight of its global foreign exchange business. "BNP Paribas deeply regrets the past misconduct which was a clear breach of the high standards on which the Group operates," the bank said in a statement after the settlement was announced on Monday. Jason Katz, a former BNP Paribas trader, in January pleaded guilty - the first person to do so - to violating US competition laws while conspiring over the US and South African Rand in January. Three former London-based traders on Monday pleaded not guilty to charges that they conspired to rig the prices on the foreign currency market. The case, concerning actions that occurred roughly between 2007 and 2013, is being tried in New York.